Before, open ditch with water loss due to evaporation and leakage, plus weed and sediment problems. One of several specially constructed angle sections being installed. Pipeline delivery to staging area. 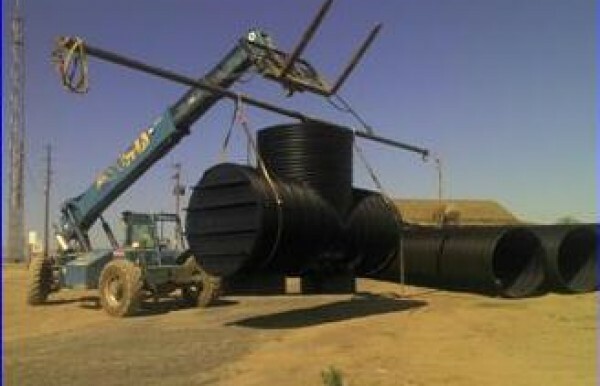 One truckload of steel-reinforced HDPE pipeline: 42 feet long, 66" diameter. Pipeline from the outlet of the Pine Creek Siphon. New rotating belt screen at the inlet to the piped portion of the ditch. Delivery of extra cover to provide adequate soil depth over pipeline. Gardena Farms Irrigation District #13 (GFID) began in 1892 with construction of the original canal and is one of the oldest such organizations in Washington. 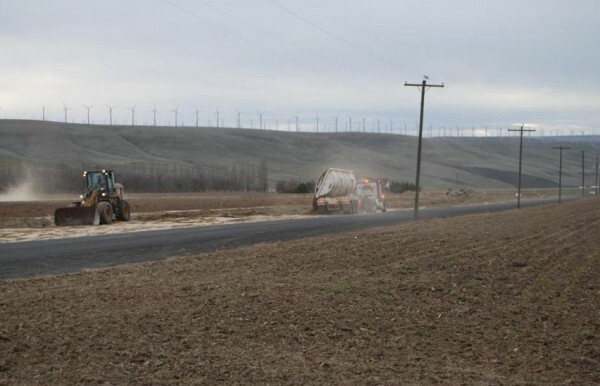 GFID diverts from the Walla Walla River to serve approximately 7,000 acres of cropland. In its early history, much of the engineering was performed by local farmer and engineer E. C. Burlingame – the diversion dam and canal system bear his name. Today, the GFID canal system is still impressive. 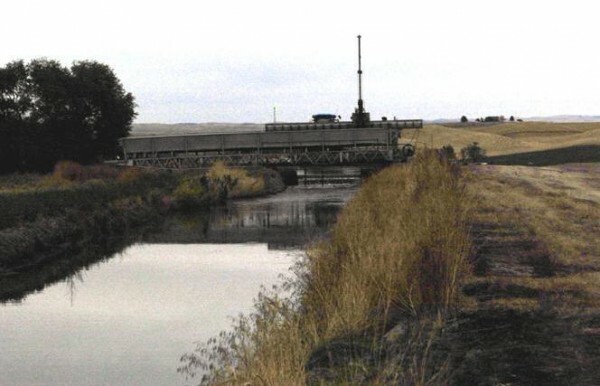 The main unlined earthen canal originating at the Burlingame diversion flows 11 miles to the Pine Creek spillway, where it meets a newly installed concrete structure that screens out weeds and debris and directs flow into a newly installed pipeline. The entire conveyance system downstream of this weed screen is now piped and is fully described in the Final Report – GFID 2800 ft. & N. Lateral. While the inefficient leaky earthen ditches required constant maintenance, the cost of upgrading to a piped system was beyond the reach of the irrigators. But in 2000 an Interim Settlement Agreement with the U. S. Fish & Wildlife Service (USFWS) called for increased flows in the Walla Walla River to improve conditions for fish listed under the Endangered Species Act. The Federal regulatory agencies were prepared to take further action but were willing to finance infrastructure upgrades in return for reduced irrigation withdrawals. The new upgrades would help save water and increase instream flows. The WWCCD has been instrumental in the implementation of projects to improve and upgrade these private irrigation systems with funding from state and federal agencies. The target species are Mid-Columbia Basin Steelhead and Bull Trout as well as reintroduced Spring Chinook salmon. 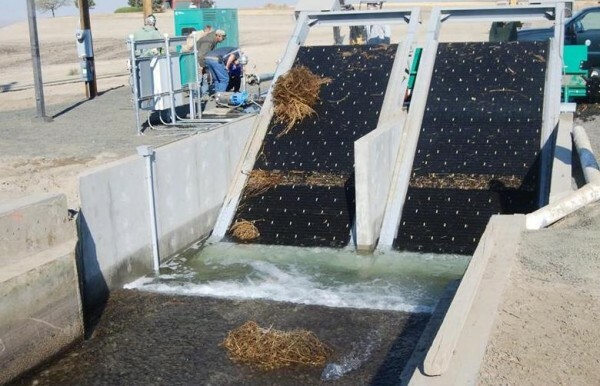 Thanks to the water savings resulting from this project, irrigation continues despite reduced withdrawals, and saved water is maintaining stream flows critical to the recovery of these important fish stocks. The scope of this project called for installation of a piped conveyance system capable of handling 75 cfs (33,660 gpm). The components included the Upper Canal 2,800 ft. Pipeline, the new diversion structure, the North Lateral Pipeline – Stage 1 (14,920 feet of pipeline) and North Lateral Stage 2 (13,565 feet). Each pipeline includes laterals and pump stations. For more information, read the Final Report – GFID 2800 ft. & N. Lateral, which includes funding sources, design details, and construction partners. 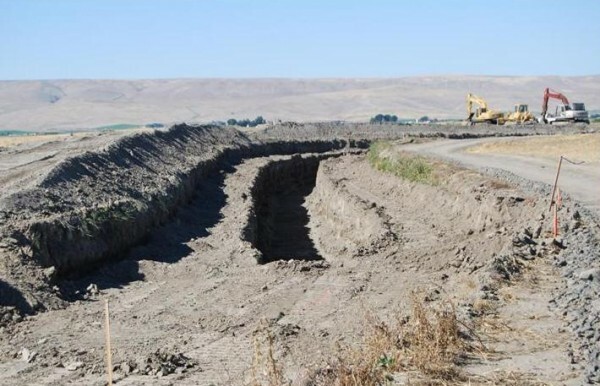 With financial assistance from federal and state government, the infrastructure upgrades improved efficiency resulting in more reliable delivery of irrigation water to users, while at the same time leaving more water in the Walla Walla River for fish. 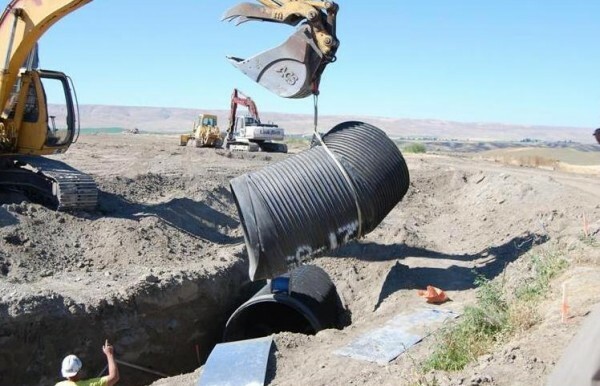 On April 9, 2013 WWCCD completed an application to transfer the water saved by the pipeline projects to the Washington State Water Trust. 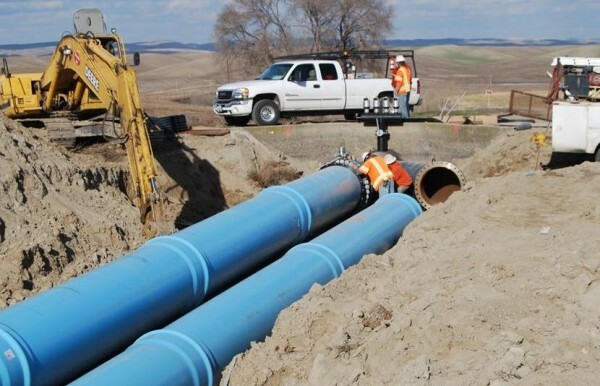 The water directly saved by the four pipeline projects constructed on behalf of the GFID totaled 11.36 cfs: the Riggs Rd / Huesby Pipeline (1.42 cfs), South Lateral Pipeline (3.99 cfs), Upper Ditch 2800 ft Pipeline (0.82 cfs), and North Lateral Pipeline (5.13 cfs).